Some nights you feel like grabbing a drink in a bright and lively bar, while others you may want to slide into a booth and enjoy a cocktail and conversation. And other nights call for whiskey in front of the fireplace. 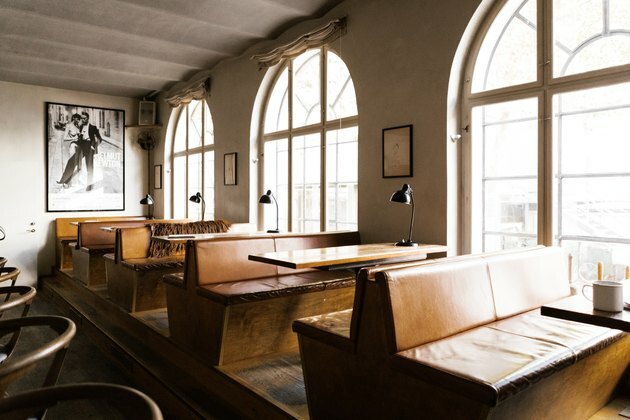 If you happen to be in Copenhagen, Lidkoeb is perfect for all three moods. Rasmus and Adeline Shepard-Longborg, who also own sister bars Ruby and Brønnum, added Lidkoeb to their cocktail empire six years ago. 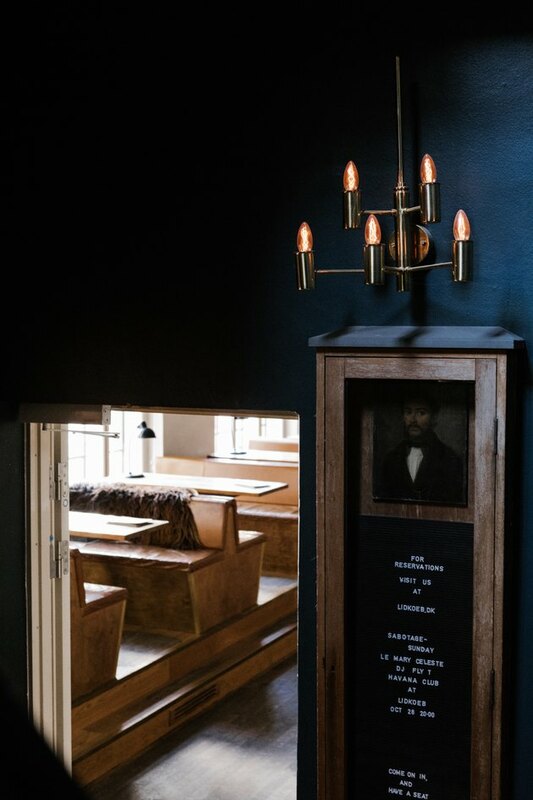 The three-story bar in the trendy Vesterbro district is set in a house built in 1886 by pharmacist H.P. Madsen. The building housed a production facility for the Vesterbro pharmacy for over 100 years, but it had become abandoned once the facility shut down in the 1980s. When Rasmus spotted it in 2010, he saw the potential to revive the property and offer cures of a nonprescription sort. 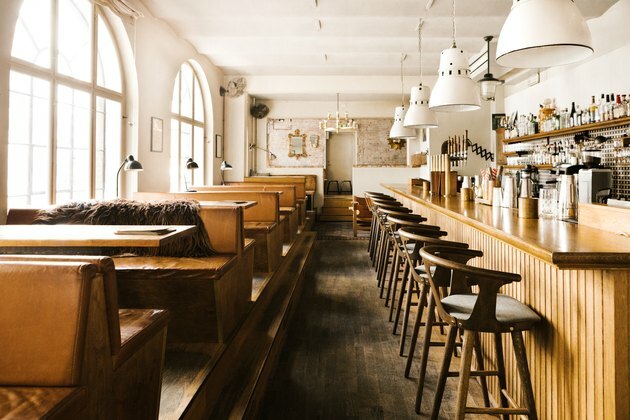 Lidkoeb was built from the ground up — starting with the bright main bar on the ground level. "It has a real Scandinavian feel with a lot of natural light, which is not always common in cocktail bars," says general manager Colin Edie. Once the main bar was bustling, they moved on, or up, to the second floor, where the space is outfitted with large cozy booths and vintage portraits. The last addition was the top floor whiskey bar. "It is just a special place, particularly in winter, when there is snow outside and you are by the fire with a nice dram," he says. "It is hard to beat." The first two levels focus on cocktails and have a livelier atmosphere. On Saturday nights, the second floor bar turns into a party as DJs play. 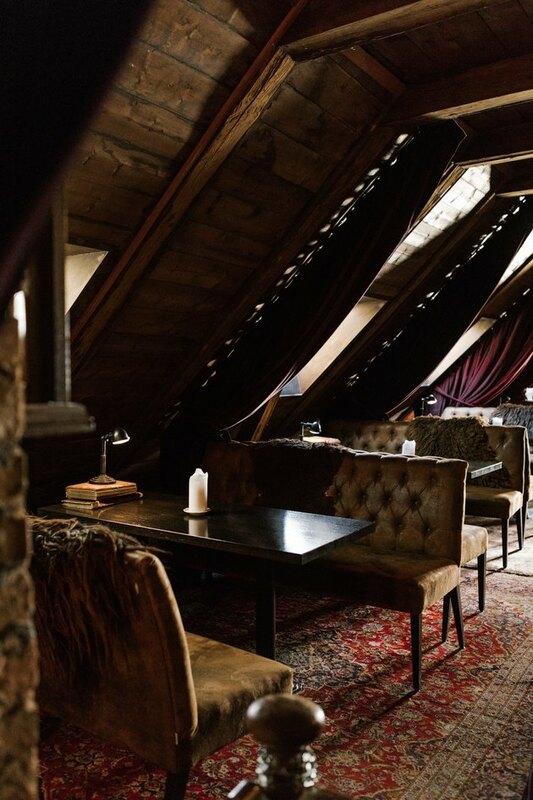 The top floor feels like an escape from the city, where you can curl up on a Chesterfield sofa amid warm woods and exposed brick. 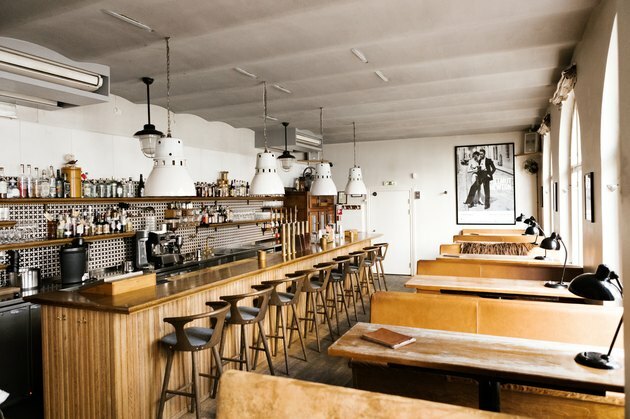 No matter your taste in cocktails — or design — Lidkoeb has a space for your perfect night out. The first floor has a sunny, Scandinavian aesthetic. 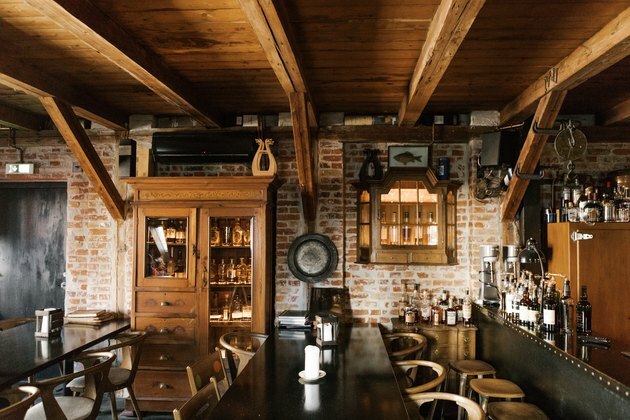 White industrial-style pendant lights hang above the long oak bar. Large arched windows flood the space with light. The booths were kept low so the bar feels more open and convivial. 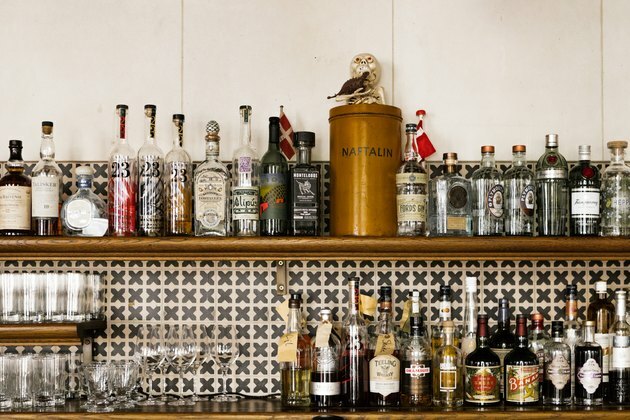 Black and white tiles create a geometric pattern that lines the storage area behind the bar. The menu features twists on classic cocktails such as dry martinis and daiquiris along with inventive drinks, including a boozy shake with peanut butter fat-washed bourbon. The moody staircase leads from the ground floor bar to the spaces above, which are open on Fridays and Saturdays. 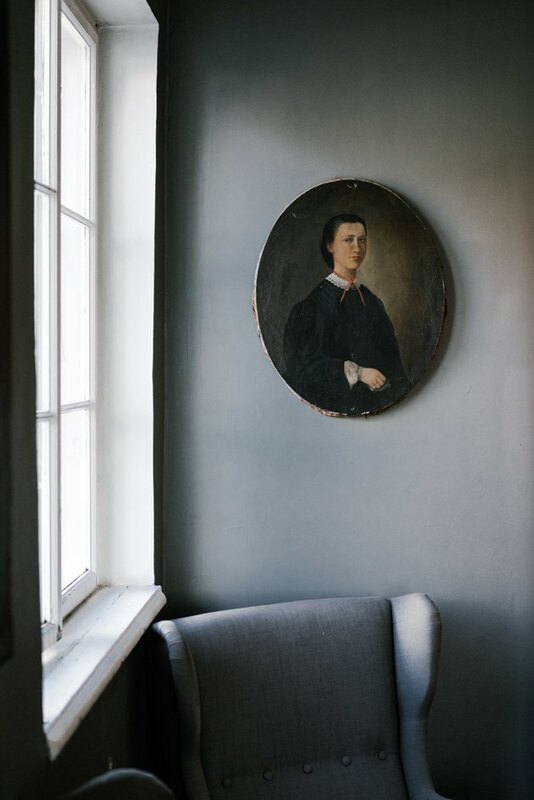 Smoky gray walls display vintage portraits in the second floor bar, which is decorated with worn wooden tables and leather-clad booths. 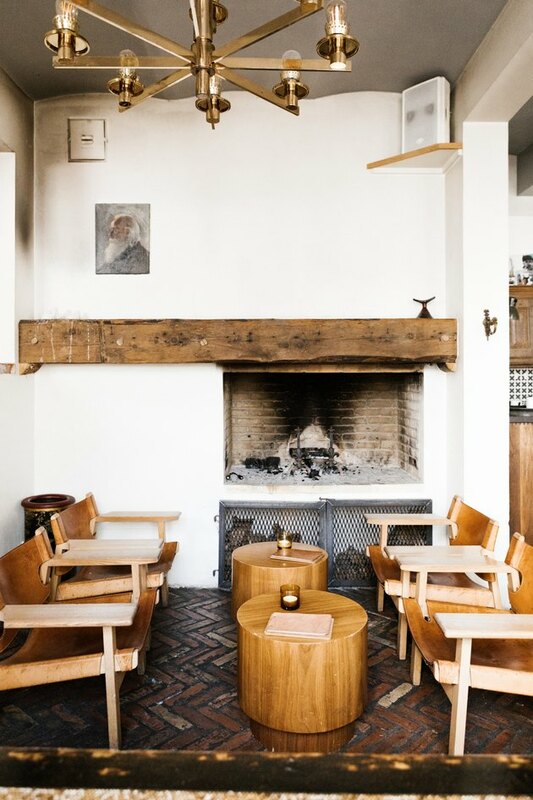 "The bar is really beautiful and quite unique," says Edie. "The Danish cocktail scene was still relatively young at the time despite the city being affluent, so I could see there was a real potential to make a lasting impact." 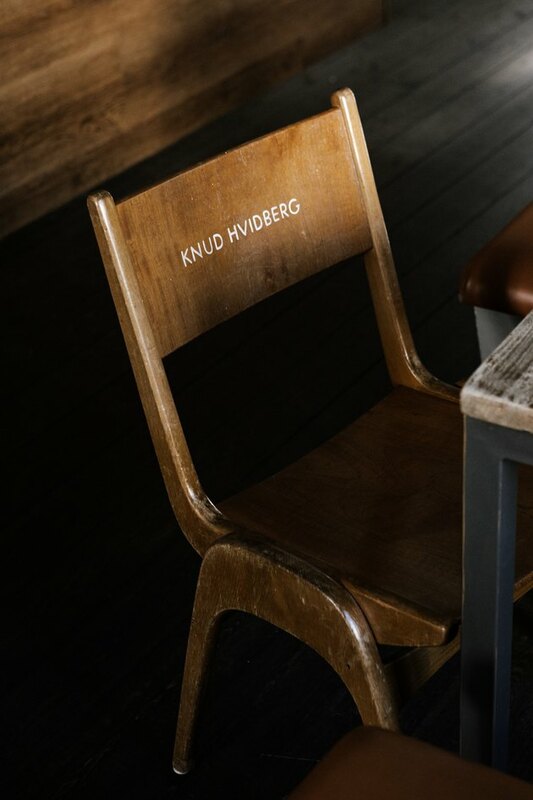 The names of famous Danes, such as artist Knud Hvidberg, adorn the chairs. "We believe details are incredibly important," says Edie. "We try not to scrimp on design." "You feel a real warmth from the room," says Edie of the third floor whiskey bar. 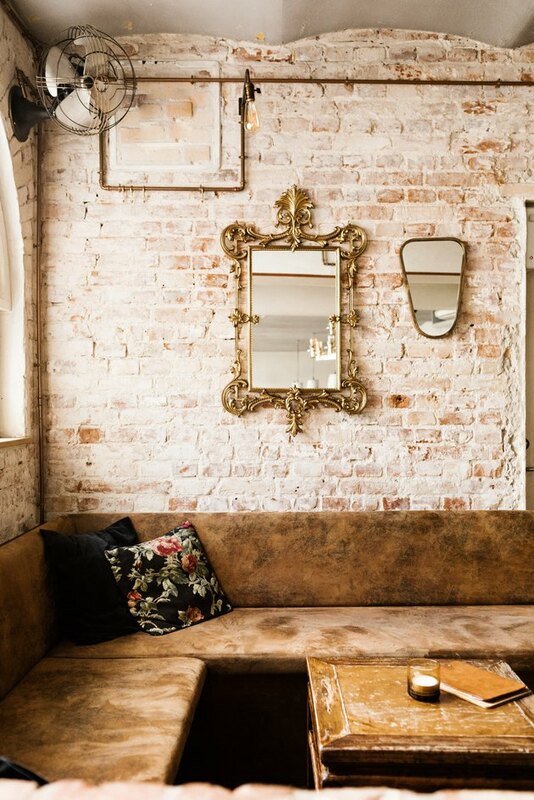 The exposed brick and ceiling beams add to the intimate atmosphere. "You are also surrounded by a couple of hundred whiskeys, so if that is what you are into, it really is a Charlie and the Chocolate Factory feel," says Edie. Vintage leather sofas are topped with cozy throws; tabletop candles add soft light and warmth. The team took particular care when designing the restrooms. "When it comes to cocktail bars, I think the toilets are often overlooked," Edie says. "I have been to so many beautiful bars that have dreadful toilets, which is a shame. We were certainly determined not to fall into this category."